How about 20% off on that? 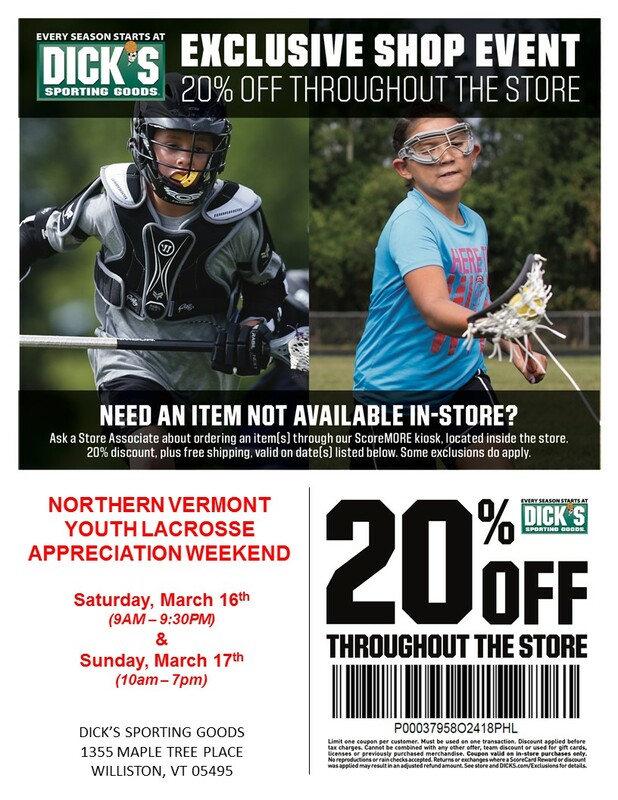 Dicks Sporting Goods in Williston VT will be hosting a second 20% off store wide weekend on April 6th & 7th! This is a great way to get gear now that you’ve got a new practices under your belt!